Freezer Cooking…it saves the day for me so often. More times than I can count in the recent past. It’s a sanity saver, a life saver and a huge money saver! It really is amazing how you can invest a little time upfront and then reap the rewards for weeks to come! Over time, I’ve found myself answering the same questions about freezer cooking over and over…in a blog post, on an Instagram photo, in a Facebook comment, so I decided to pull it all together in this ULTIMATE FREEZER COOKING GUIDE! Plus different freezer cooking concepts and methods, including different time and money saving strategies. In addition, there are over 70 recipes that are freezer friendly and waiting for you to give them a try! AND…specific details on how to freeze all that you can freeze with links to photo tutorials. …plus exclusive access to freezer inventory printables and so much more! 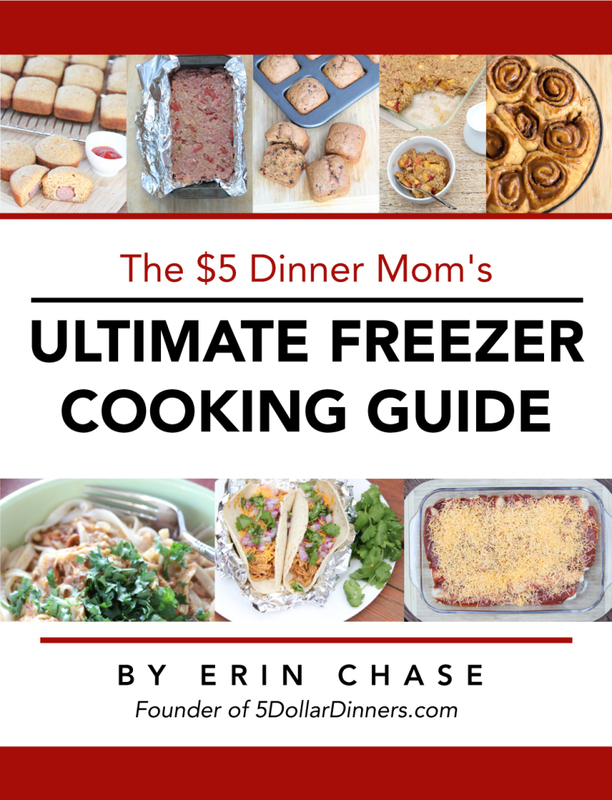 See, I told you…this really is the ULTIMATE FREEZER COOKING GUIDE! Read the Guide & Sign Up for the Free Beginner’s Workshop Here!